For those appalled at the right-wing hellscape the Donald Trump era has unleashed upon the land, the idea of going local is seen as an effective strategy to fight back against a federal government infested with conservative idealogues at the highest levels. 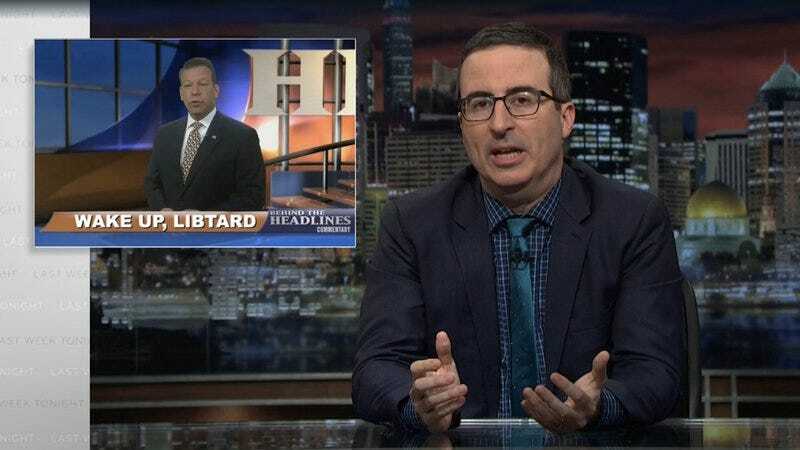 Unfortunately, according to Last Week Tonight host and guy whose astutely angry British-ness can make even outraged cries for sanity the cause of cathartic laughter, John Oliver, conservatives in the media have adopted the same strategy, albeit in their own traditionally insidious manner. In his main segment last night, Oliver explored how Sinclair Media Group, which is on the verge of becoming the largest owner of local news stations in the country, uses its top-down yellow journalistic mandates to literally put words in the mouths of your trusted, endearingly stiff local anchors.